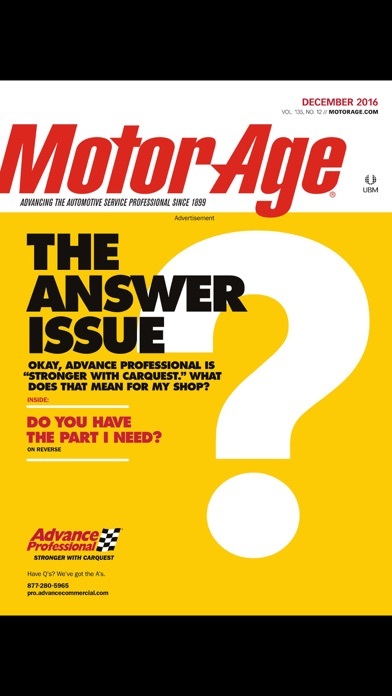 Motor Age – the leading resource for automotive professionals - is finally available for your smartphone and tablet! The Motor Age mobile app leverages its partnerships with ABRN and Aftermarket Business World to be the most comprehensive and in-depth resource for: service repair, technicians, collision repair/paint & auto body, and aftermarket part suppliers & distributors. Learn from industry-leading experts and contributors right on your mobile device for FREE! 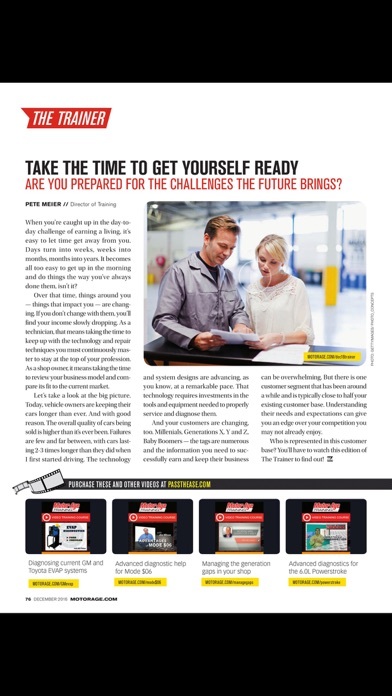 The Motor Age mobile app delivers award-winning domestic and global automotive industry news, interviews, articles on business management, training tools, product spotlights and so much more! No other app comes close to the breadth and depth of information that the Motor Age provides automotive professionals. FREE Downloads: -Full online issues of Motor Age -Full online issues of ABRN -Full online issues of Aftermarket Business World Additionally, we offer exclusive access to industry-leading Motor Age Training study guides designed to help technicians pass their ASE certification exams. Download the Motor Age app now and get your automotive business in fast lane! 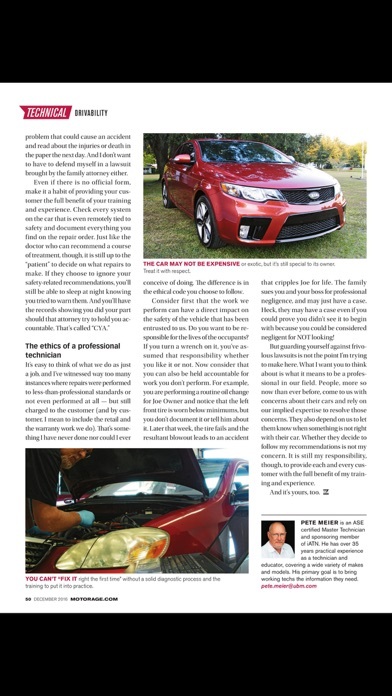 The most recent issue of Motor Age in the app is from Oct. 2018. It’s February of 2019 right now. I was directed to download the app after getting an email about the latest edition. Too bad I can’t read it. The most recent issues available are from 3 months back. Purchased L1 study guide. Information was not relevant to new test. Looked like my 6 year old study guide. I took the ASE test and most of the questions topics were not covered in the guide. I heard nothing from support. I bout the all the Motor Age training courses from their website. I'm disappointed that I'm unable to view the course information via this app; and I'm upset that I was asked to purchase the information again. The more Motor Age products that I purchase the more I realize how much this company contracts out their development; I'm shocked at the quality control of Motor Age content. This app doesnt let me download the current issue of motorage? Pretty sad I've had this app for few months and still doesn't give new updated issues. 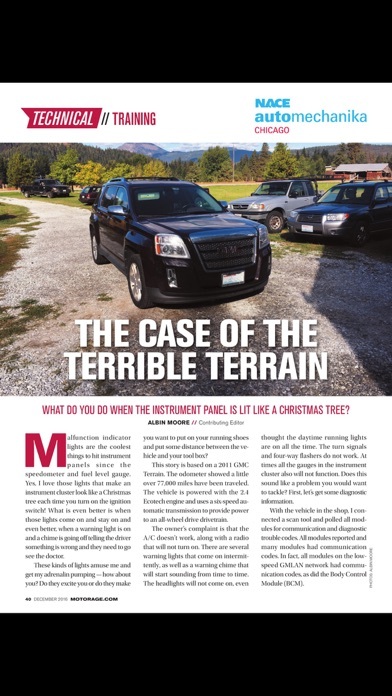 I get the magazine delivered but wanted to enjoy it on iPad while on the go. 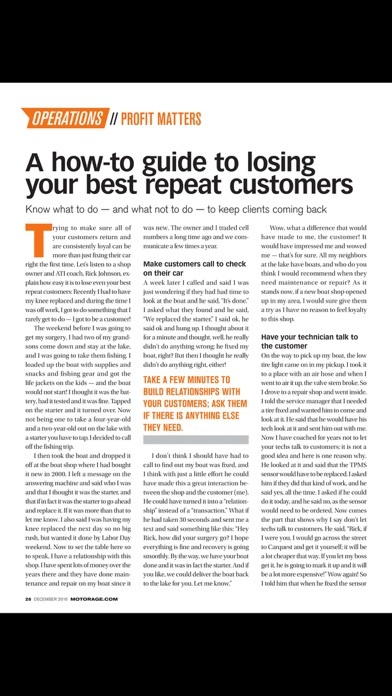 Don't waste your time downloading this. Had the app and later removed it. Now I have it again and still not one issue of ABRN or anything 2015. More by Advanstar Communications, Inc.